Unicorn Day is all about donning your best glitter and color your day with some magic. Unicorns have made the entire world go bonkers and now a day dedicated to these mystical one-horned creatures is here. The best way to celebrate this wonderful, magical, and fun-filled day is yet to be decided but we are sure that any reason to buy and gift colorful unicorn goodies is good enough. Starting a gifting trend on this day might also mean you get a lot of unicorn themed goods in the upcoming years. After all, the magic is yet to happen. Since the day celebrates unicorns – the magical much-loved creatures who symbolize love, purity and magic in life, we have got an interesting collection of unicorn themed goodies that you can buy and impress your friends with your love for unicorns. So just get ready for this special day and binge on tasty cakes with all colorful sprinkles. Let’s call that the best way to celebrate this day. – They are soft, fluffy, extremely good looking – they are basically like having two tiny unicorns living in your closet. 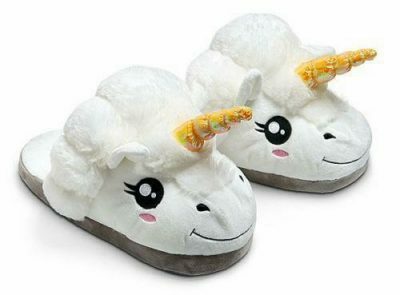 Not just unicorn day, but any day when you wake up, these slippers would ensure that you slowly step out of your snooze zone. The unique design is sure to cheer you up and look forward to all the magic waiting to happen during the day. These slippers makes for the best birthday gifts for wife. – It is the time to show your loyalties and declare whose side you are on. 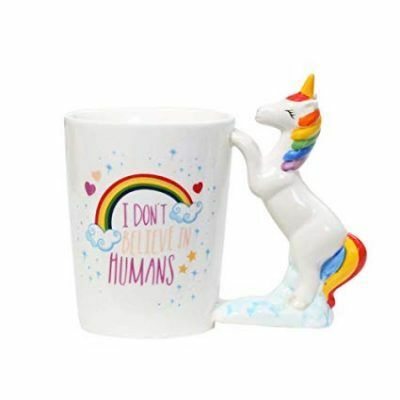 For all those people, you do not believe in unicorns, you can now drink from a mug that states “I do not believe in humans”. With a unicorn having colorful mane standing to hold the mug erect, this mug will lift your mood and always be a cherished treasure. This Unicorn Mug makes for one of the best selling valentines day gifts. 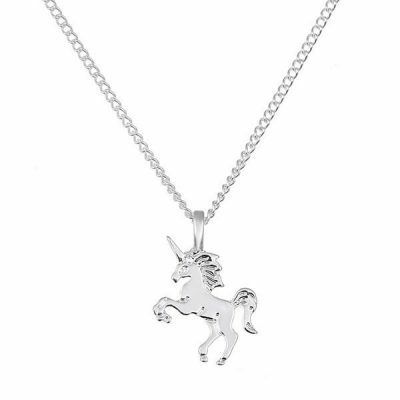 If you prefer doing things in a subtle manner, but cannot keep calm this unicorn day, you must get this beautiful unicorn pendant. This simple silver color pendant with a long sweater chain keeps the magic close to your heart. It is a constant reminder of all things beautiful around you. 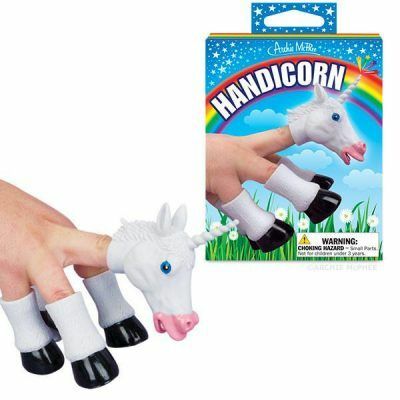 If you have a toddler who fancies unicorns as much as you do, you must get this hand operated unicorn or Handy-Corn puppet. 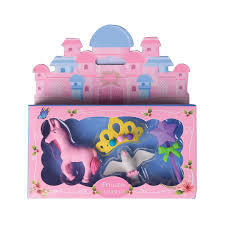 Made with plastic, this superb 5-piece puppet set comes with a unicorn head and four legs. Just slip it on your fingers and start weaving stories that remind of beautiful lands and happy times, where there is love all around, and unicorns jump over rainbows. World Unicorn Day also coincides with school reopening in most parts of India. 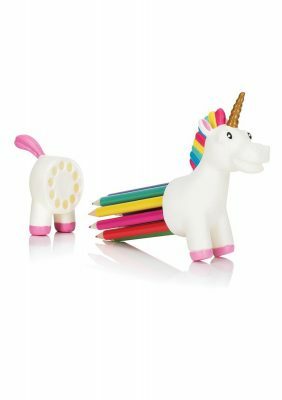 With the excitement for new classes and books, kids would love this eraser set which has a unicorn, a tiara, a dove and a wand. This set of erasers is true magic because it doubles as erasers and play-time props. 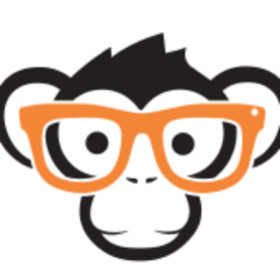 Recess would be a good time to put those story-telling ideas to test. – Unicorn lovers come in all shapes and sizes. One such part of this community of unicorn lovers are those who love to prank others. 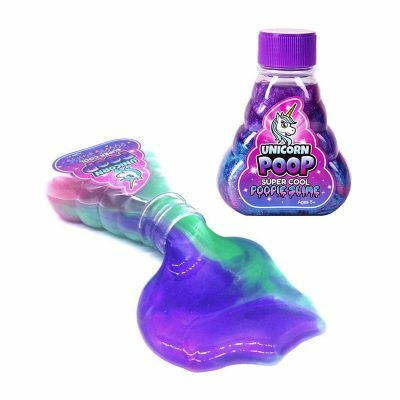 Specially for them, GeekMonkey introduces this magical slime which is shiny, colourful and contained in a poop shaped bottle, also called unicorn poop slime. Just unscrew the bottle and “accidentally” spill all of it on a co-worker’s desk. See their worries disappear as they try to pick this up to realize that this slime that calming effects on the brain due to its visual appeal and cold vibes. This makes for the Top Rated Quirky Gifts. So, if you are hoping for everything to turn brighter, every house to smell of cotton candy and to hear the clickety clack of magical hooves towards you, just get prepping for the World Unicorn Day on April 9th. It is after all the sparkliest holiday on the calendar. Just keep your hopes high and keep unicorn-ing.